In a bowl add besan, rice flour, chilly powder, hing, salt and ½ cup of water mix well and make thick paste and keep aside. 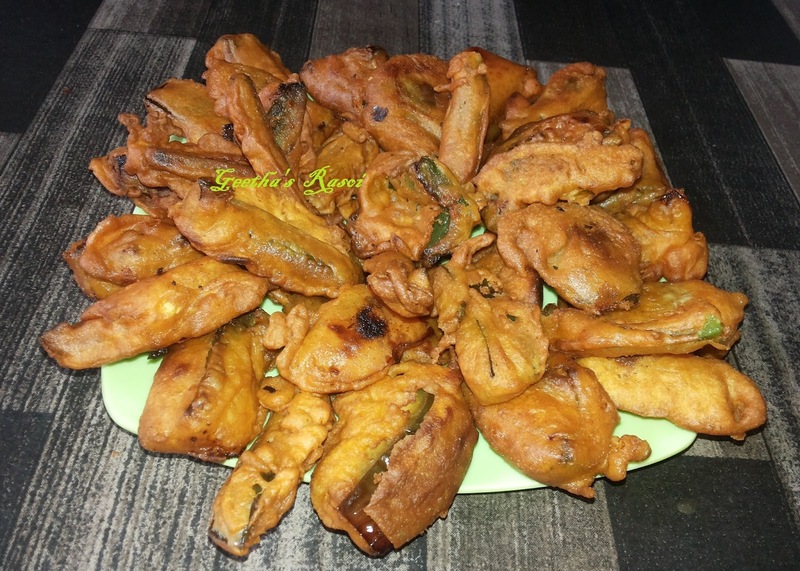 Cut capsicum and dip them into batter and fry them in hot oil till crispy. Good snack ready to serve.